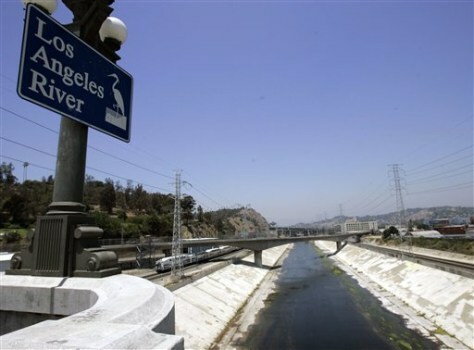 A very shallow Los Angeles River is shown Friday. Some Californians are canceling July 4 fireworks because drought raised the risk of fire. And Texans could have their displays drowned out by rain.